Discussion in 'Pin Zaps & Swaps' started by krand1276, Jan 25, 2019. @hopemax is just the sweetest! I went to my mailbox and found an LBE from Colorado. Nothing I was expecting, but I was excited to open it when I saw the last name if the sender. 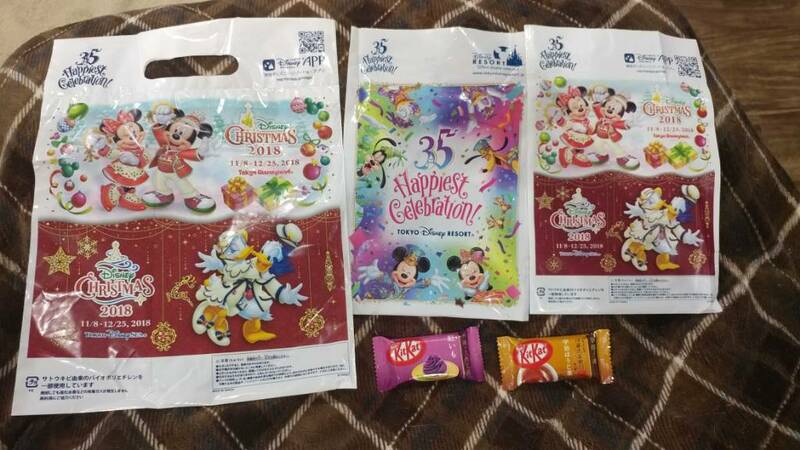 Thank you for thinking of me in your trip to Japan! The bags are fantastic enough, but there are a purple potato (purple!!!) and a tea flavored Kit Kat. 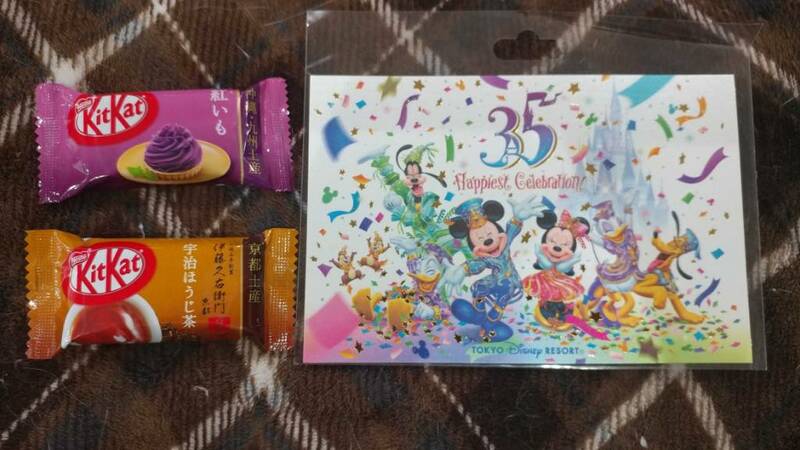 She also sent a gorgeous 35th anniversary postcard. And to top it off, she sent a Chip daruma doll charm. Just in time for New Years (Lunar)! Everything is so perfect and super appreciated! Thank you so much, Hope! Disneychildwithin, Booger1964, slbrabham and 2 others like this. Ooh congrats! I love how there are so many kit Kat flavors! Seeing all the different KitKat flavors is so fun!